Specify the length and quantity cuts you desire. A) Standard Smooth Surface - Provides a clear unobstructed view in either direction. B) Ribbed Surface - Both sides of the strip feature an offset rib to protect against abrasions. Ideal for heavy traffic areas where scratching is a problem. 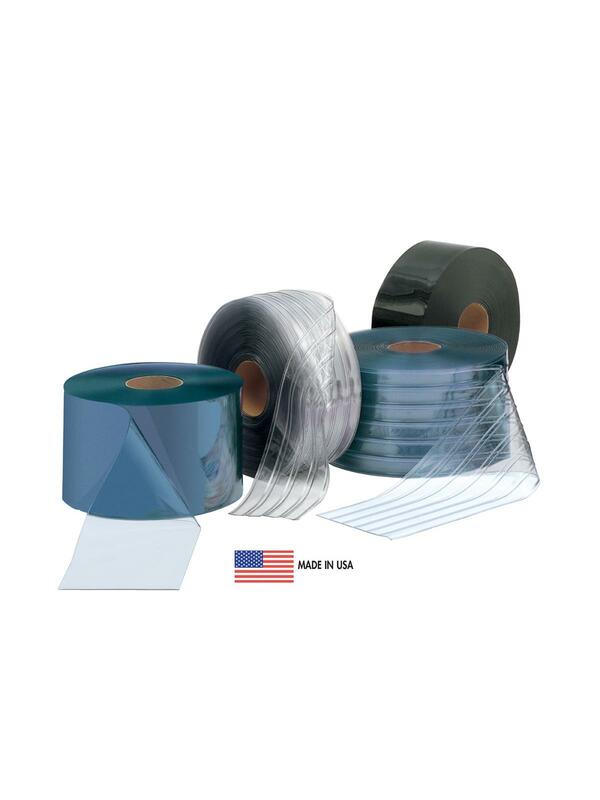 C) USDA Smooth - Clear PVC - Used for freezer strips to meet temperatures of -30°F to 150°F. Meets federal requirements for incidental contact with dairy, poultry and meat products. Indoor applications recommended only. 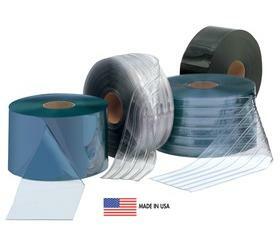 D) Anti-Static - Clear PVC - Used for clean room enclosures or high-tech areas where static build-up may be a detriment. Conforms to Federal Test methods ST.101C,4046 (Any liabilities regarding product applications are the sole responsibility of the end user). E) Orange Safety - Semi Transparent - For edge safety strips to mark openings or enclose hazardous work areas. F) Smooth Welding - Transparent Bronze and Aztec Orange colored PVC have UV-blocking to protect against UV light emitted during arc welding. Eye protection must still be worn during direct viewing. When ordering Cut Strips, order total number of feet wanted and include a message on your order with the Cut Length of each strip and the qty. wanted. See Related Items tab for available strip doors and door hardware items.